The OV5647 – 5.0 MP Camera Module for Raspberry Pi w/ Stock Lens is based on the same OV5647 color sensor from OmniVision as the official Raspberry Pi camera. The sensor has a 1/4.0″ optical format, which combined with the pixel size of 1.4 µm x 1.4 µm, provides the 5.0 MP 2592 x 1944 QSXGA image. This is a rolling shutter sensor, which captures an entire column (or row) simultaneously. The sensor compiles the image by scanning across (or down). This adapter board does not offer a standard (CS or M12) lens mount, but uses the “stock lens” supplied with the sensor. However, additional camera modules with this sensor are available from ArduCAM. 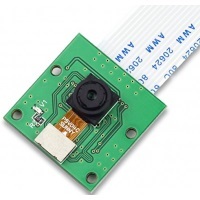 See OV5647 – 5.0 MP Camera Module w/ M12 Lens for a preconfigured camera. 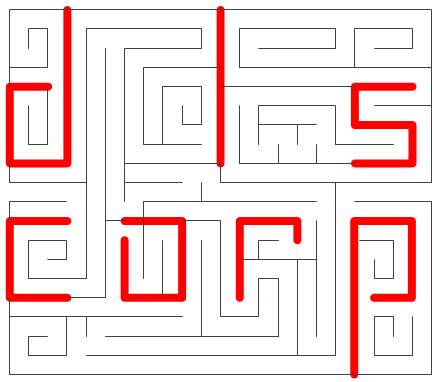 The key benefit of the standardized lens mount is the simplicity in swapping the lens – fisheye, wide-angle, telephoto, zoom, IR or NoIR filter – all of which are available from DLSCorp. Note that this camera module is available as either M12 mount or CS mount only, for any compatible lens, sold separately. Click on the Camera Lenses product category for the complete selection of ArduCAM lenses. Be sure to note the compatible lens mount height (Short, Medium, Tall) for each lens selected. Each lens comes with an appropriate height lens mount (plastic for M12, metal for CS), so you may choose to purchase the camera with a generic plastic lens mount (which is in place to protect the sensor). Click on the Camera Lens Mounts product category for information about lens mounts, including compatibility with the various lenses.